Danielle of Dinosaur Toes must think I'm stalking her. Her blog just appeals to me. She's pretty great, makes boss jewelry and I think we have the same hair. She also REALLY likes birds. Check her out, you'll love her too. 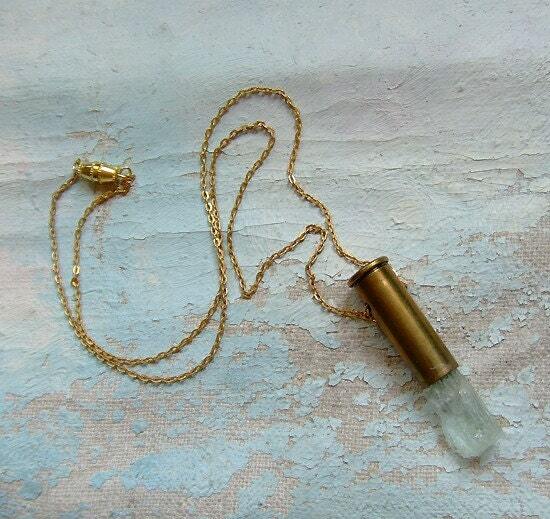 I bought this rad aquamarine bullet necklace, and the bullet earnings above. 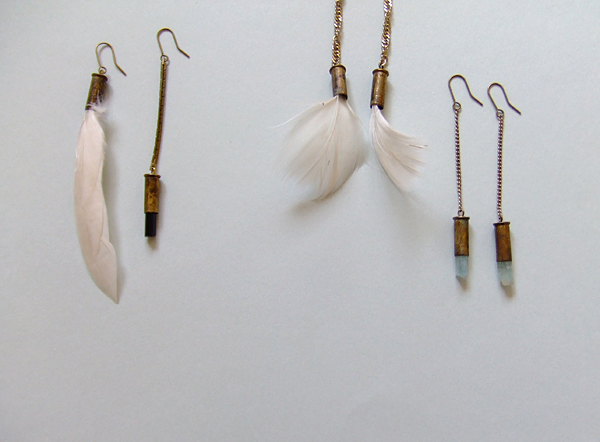 Plus, I was a lucky winner on Danielle's blog for another bullet necklace that I loved. That NEVER happens to me, so I was pretty stoked. I'm sure I'll keep shopping though, because here are a few more things I'm wishing for from Dinosaur Toes. 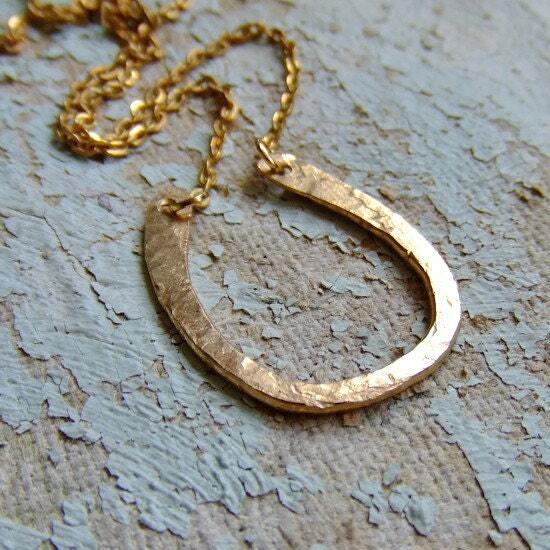 I hope she makes more of these Hand Forged Horseshoe Pendents. I'd like to continue my lucky streak please! The materials, soft and hardness, and serene shades make pretty much everything Dinosaur Toes creates, perfect in my opinion. She reminds me of how much I LOVE shopping the world online. Who's your newest favorite online shop or blog?